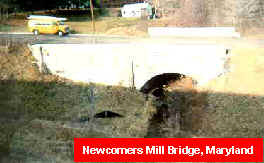 Newcomers Mill Bridge (route MD 733A) on the old National Highway is close to Frostberg, Garrett County in Maryland. 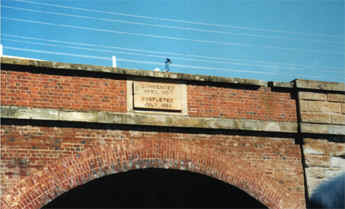 The Bridge is one of seven remaining stone masonry bridges in the county constructed between 1813 and 1850. 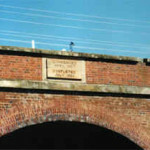 It is a single span masonry arch bridge over the Savage River and has significant historic value. 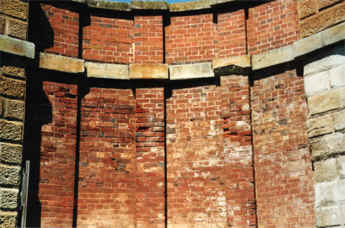 The arch barrel is constructed from random rubble with squared voussoirs. Spandrell walls and parapets are built from roughly squared rubble. 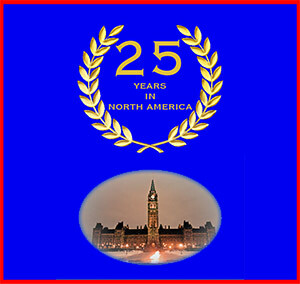 At the time of Cintec™’s inspection (Nov 1999) the southern spandrel wall was in a serious state of disrepair and in imminent state of collapse. A submission was made to Maryland State Highway department and after the installation of over 45 Cintec™ anchors, some measuring up to 28 ft. in length, masonry repairs and low pressure grouting this Historic bridge is once again safe. 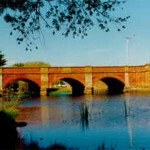 The “Red Bridge” across the Elizabeth River at Campbell Town in Tasmania is the oldest surviving brick arch bridge in Australia. It consists of three segmental arch spans of 7.6 metres (25 feet) and was built by convict labour between 1836 and 1838 using red clay sandstone for the piers, abutments and cappings. The Tasmanian Department of Infrastructure, Energy and Resources which controls the bridge, required a contractor to take responsibility for the design and construction of rehabilitation and strengthening works which would restore the original structural integrity of the bridge and strengthen it to take modern heavy vehicles, which are presently up to 62.5 tonnes on 9 axles in the “B-Double” configuration. Part of the “wish list” also required strengthening to the new SM1600 loading, which allows for future increases and has loads in excess of 36 tonnes on a 3-axle group. Analysis by Gifford and Partners has shown that strengthening to the required SM1600 loading is possible. 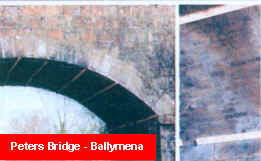 Built of random whinestone, these two spans of over 7m (23 ft.) were assessed as having a carrying capacity of 7.5t. 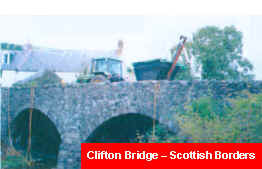 The bridge is located in a rural environment with no alterative route for some users. Therefore Archtec was chosen in order to cause minimal disruption to traffic and for it’s environmental advantages–a saddle system would have been very disruptive. Scottish Borders Council was restricted to a two-week window of opportunity in order to suit the local farming community. The bridge was completed on time and to budget and was organized so that it remained open to traffic throughout the process of installation. Bridging a busy single-track railway line, a rating of 10t was assessed for this single 8.6m (28 ft.) span, masonry structure. Strengthening to a rating of 40t was required. Twenty-six 3m reinforcement anchors were installed to achieve this new load capacity. The holes are made with non-percussive diamond drills causing very little vibration, however in order to minimize the risk of debris falling onto the track, ‘fortrac’ netting was fixed to the underside of the bridge during the installation process. This historic structure became the first Archtec project in Wales and required the listed building consent of Cadw. 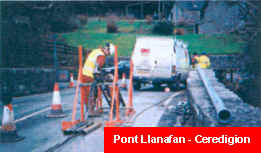 The bridge remained open throughout with the central holes being drilled at night. Twelve anchors, averaging 7m (23 ft.) in length were used for strengthening and three longitudinal anchors for barrel stabilization. 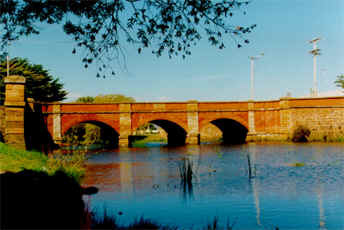 The “Red Bridge” across the Elizabeth River at Campbell Town in Tasmania is the oldest surviving brick arch bridge in Australia. It consists of three segmental arch spans of 7.6 metres (25 feet) and was built by convict labour between 1836 and 1838 using red clay bricks made on site (hence its name); it rests on a basalt stone substructure and uses sandstone for the piers, abutments and cappings. 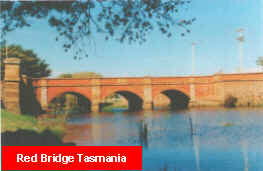 The bridge was originally built wide enough to take two modern traffic lanes, plus footways and lies on the main highway between the Tasmanian capital of Hobart and the principal northern city of Launceston. There is presently no convenient alternative route, nor is one planned in the near future. The Tasmanian Department of Infrastructure, Energy and Resources, which controls the bridge, required a contractor to take responsibility for the design and construction of rehabilitation and strengthening works which would restore the original structural integrity of the bridge and strengthen it to take modern heavy vehicles, which are presently up to 62.5 tonnes on 9 axles in the “B-Double” configuration. Part of the “wish list” also required strengthening to the new SM1600 loading which allows for future increases and has loads in excess of 36 tonnes on a 3-axle group. A consortium was formed by the Cintec™ Australian arm with van Ek Contracting of Tasmania who are known for their expertise in conservation of old bridges and the building of new ones. When expressions of interest were called from all over Australia for a design and construct contract, only the Cintec™ consortium using the Archtec process was able to satisfy the Department and a contract was negotiated without further tendering. Analysis by the Archtec consultants, Gifford and Partners of England, has shown that the bridge can be strengthened to the required SM1600 loading and, at the time of writing (March 2000), arrangements are being made to ship 54 M30 (1¼”) dia x 5m (16½ ft) long anchors and begin installation. 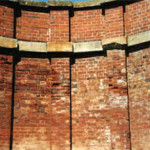 Expertise from within the world-wide Cintec™ organization is also being utilised in conserving the masonry which requires cleaning, repointing and grouting. Bill Jordan who heads up CLS Cintec™ Australasia is advising on the masonry conservation, in his capacity as a Consulting Structural Engineer specialising in conservation, with the help of Peter Sobek, the Cintec™ grout expert from Germany. Specially formulated lime grouts and mortars will be used to ensure that the bridge meets the specification requirement of 100 years future life without major repairs.